WASHINGTON — Specialists in government secrecy law see almost no possibility of criminal action against Hillary Rodham Clinton or her top aides in connection with now-classified information sent over unsecure e-mail while she was secretary of state, based on the public evidence thus far. But in both of those cases, no one disputed that the information was highly classified and in many cases top secret. Petraeus pleaded guilty to a misdemeanor; Deutch was pardoned by President Bill Clinton. By contrast, there is no evidence of e-mails stored in Hillary Clinton’s private server bearing classified markings. State Department officials say they don’t believe that e-mails she sent or received included material classified at that time. And even if other government officials dispute that assertion, it is extremely difficult to prove anyone knowingly mishandled secrets. ‘‘How can you be on notice if there are no markings?’’ said Leslie McAdoo, a lawyer who frequently handles security-clearance cases. The State Department posted 4,368 documents totaling 7,121 pages online Monday night. Parts of several e-mails, however, have subsequently been declared classified. On Monday, the State Department released a batch of about 7,000 e-mails — the largest such release to date. Those include about 150 that have been partially or entirely censored because the State Department determined they contain classified material. Department officials said the redacted information was classified in preparation for the public release of the e-mails and not identified as classified at the time Clinton sent or received the messages. All the censored material in the latest group of e-mails is classified at the ‘‘confidential’’ level, not at higher ‘‘top secret’’ or compartmentalized levels, they said. Still, the increasing amounts of blacked-out information from Clinton’s e-mail history as secretary of state will surely prompt additional questions about her handling of government secrets while in office and that of her most trusted advisers. 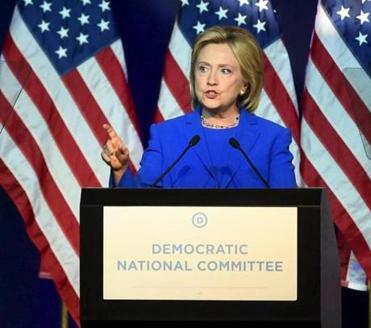 The Democratic presidential front-runner now says her use of a home e-mail server for government business was a mistake, and government inspectors have pointed to exchanges that never should have been sent via unsecured channels.